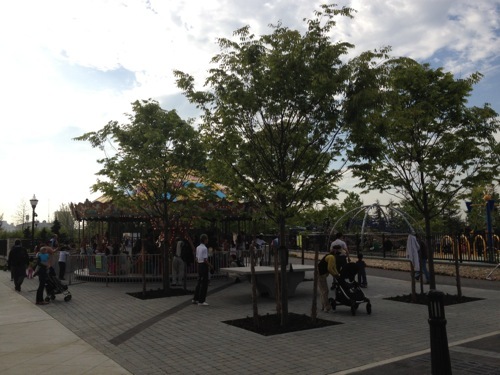 Newport’s newest park finally opens at 14th Street. 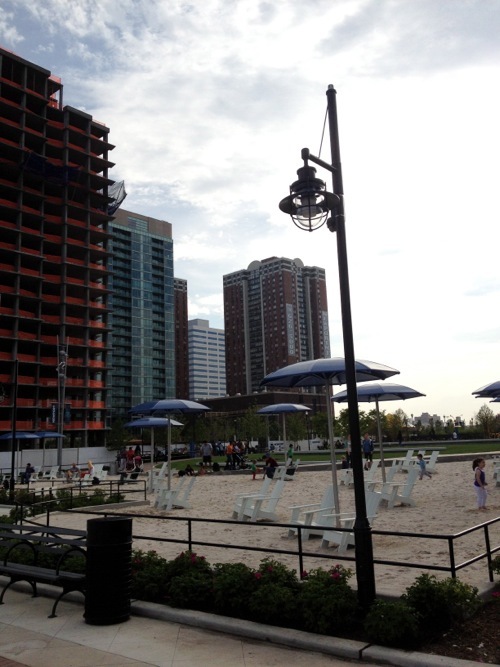 The new park, extending from Washington Boulevard to the waterfront walkway marks the northern edge of the current development. The Laguna tower rises next to the park, but at least two more towers are planned. One would be on 14th Street and Washington. The other tower, the Ellipse, would be a signature tower built on the pier. A third smaller building has been approved for 14th Street, across from the Laguna. North of the park is the final phase of Newport. A double residential tower was announced last summer for the northern edge of the property adjacent to the NJ Transit property and bridge to the Hoboken Terminal. Other towers are planned, though are no more than white boxes on the developer’s map. 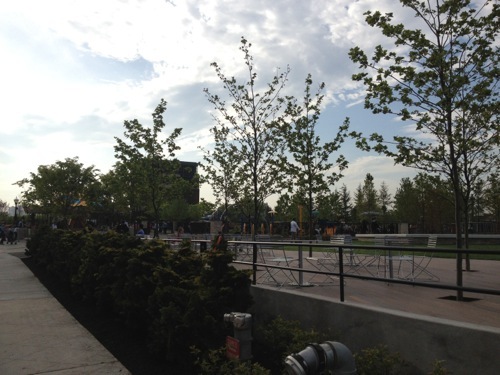 The park includes grassy areas, a children’s playground, ping pong tables and several other features mentioned below. 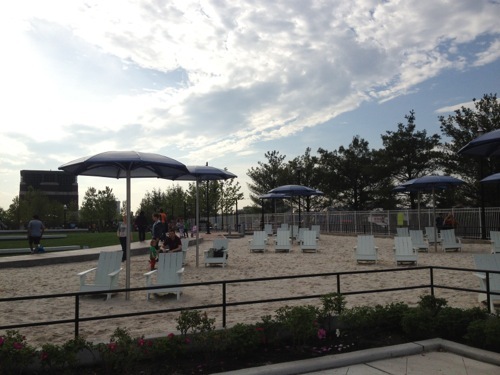 A small sandy area near the base of the park and overlooking the water serves as a beach with lounge chairs and built in umbrellas. In addition to the sandy area, tables sit amongst trees. Newport even included a carousel.